Hi, my name is Veronica. I am a fourth year computer science student and I just returned to classes at Carleton after a year of co-op jobs. I decided to do co-op so that I could experience some computer science placements before deciding on a career path. 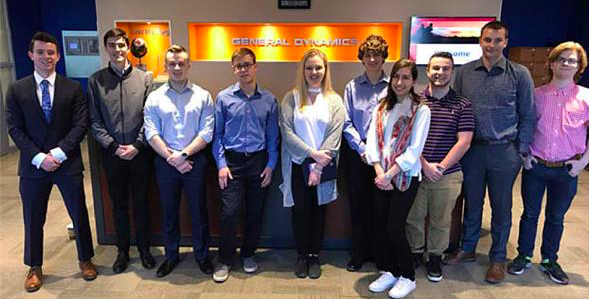 First, I spent 4 months as Software Developer in Test at You.i TV and then I spent 8 months working as System Engineer at General Dynamics Mission Systems – Canada. 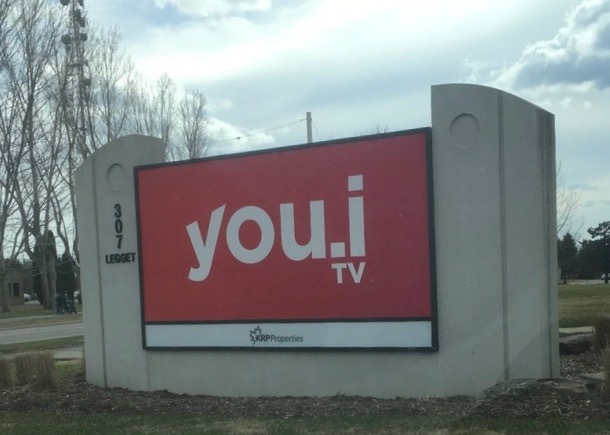 You.i TV uses the You.i Engine to create cross platform video streaming apps. My co-op placement as Software Developer in Test at You.i TV exposed me to the variety of tasks, challenges and routines of an employee in a private company. It is a relatively small company and the work environment was very fast-paced. There were some pretty cool activities going on throughout my time there. There was an Easter egg hunt where everyone ran around the office looking for clues – the co-ops lost badly. There was a company wide hack day where I worked with the other co-ops on developing an interactive, 3D map of the office – we almost got it working. We also went to eat at 3 Brewers and Kanata Noodle House whenever there was reason to celebrate. A bunch of after hours events were hosted in the building too. But, probably the best part was the snack wall. I mean who doesn’t like free food? In terms of actual work, I spent most of my time testing the engine and fixing bugs in the code. I really liked seeing my coding contributions being used in the engine and on real apps but I found it to be a high stress environment. I was on a small team and everyone was kept very busy. It ended up feeling much more like I was working alone than on a team. It wasn’t easy to interrupt people with questions I had because they were working on completely different things. General Dynamics was a very different experience. General Dynamics Mission Systems – Canada creates technology-based, integrated solutions used in the Canadian military. Since it is a much larger company it is made up of many different divisions and teams with many projects. As a System Engineer Co-op student, I was part of several different projects in Land and Joint Systems. I really had a really good time at this placement. There were fewer planned activities but every day things were more enjoyable. My overall impression was that people were less stressed so they were able to enjoy the work and have fun along the way. We still had lots of stuff going on but many of those events were just planned within the team. 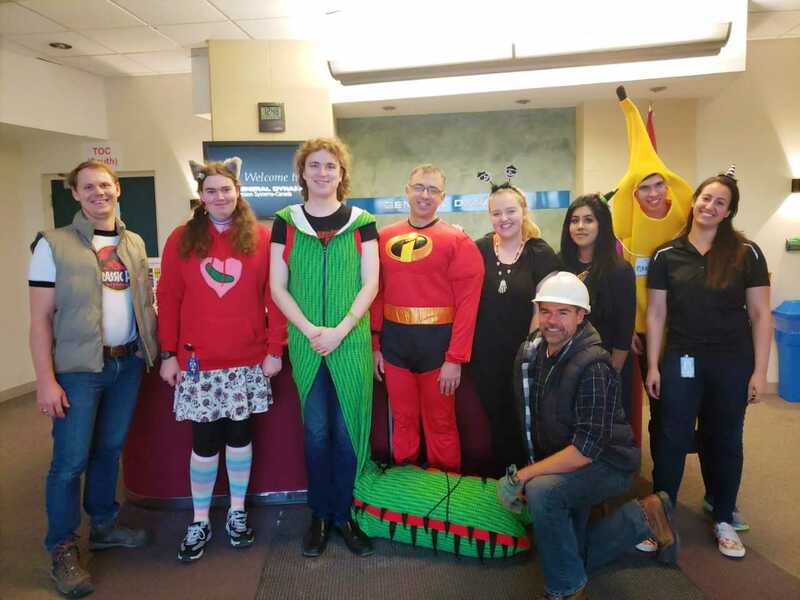 There were activities like potlucks, board game lunches, costume contests and celebrations when projects were completed. An interesting part of the actual job was being able to see inside of tanks and other armored vehicles, and to test things like lasers and sensors used by the army. There was even more motivation and purpose with this job because there were always people from the army on site working with us, learning how to use the products and providing feedback. So, I actually got to work with the people who would be using the products I was working on. In terms of the length of my placement, I preferred having an 8-month work term because I was able to work on more projects, see more aspects of the company and feel like I was part of the team. I really liked the people that I worked with. Here, I was encouraged to ask questions. I was always actually working with other people and I was working on multiple projects at a time. I realized that, for me, feeling comfortable and welcomed by the people work with really makes a huge difference in the overall experience. Even though it is difficult to get back to the routine of university classes and studying, I am happy that I took the time to experience co-op placements. It’s nice to have the opportunity to experience the application of the things I have been learning in my classes. It is also helpful to get some insight on what I like and dislike as I consider future career paths. Our Wonderful First Year Reps! Read more about Our Wonderful First Year Reps! Welcome to the FYR blog! The SSSC’s First Year Rep team is full of awesome and dedicated first year student leaders who connect their classmates to all the amazing events and workshops run by the SSSC! 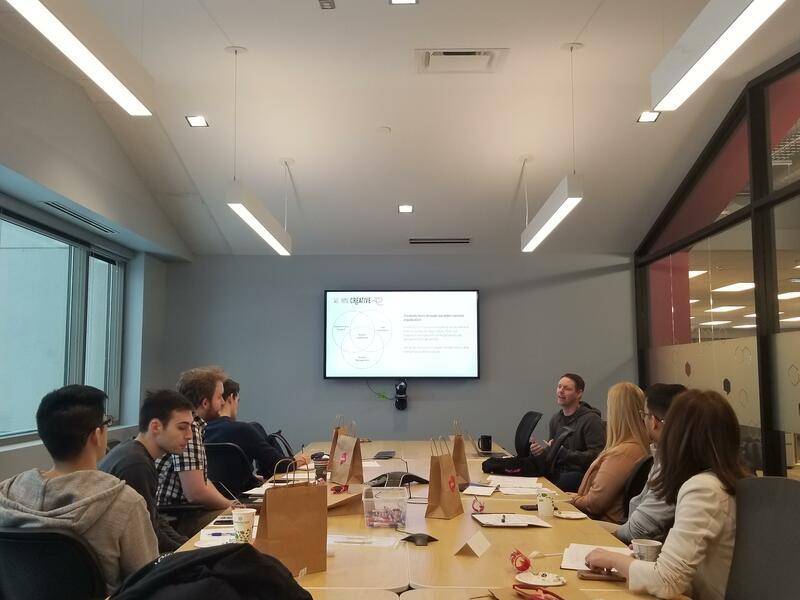 A FYR’s main job is to make weekly in-class announcements, which not only allows them to hone in on their public speaking skills, but also gives them the opportunity to build connections with professors and make new friends. Check out what some of our First Year Reps have to say about their experience on the team and their first year at Carleton! My name is Rachel B., and I am in first-year Health Sciences, with a minor in Physics. I’m from Lombardy, Ontario, a small town near Smith’s Falls. My favourite part of Carleton is the people. I love the feeling of community I get from getting involved at Carleton as a SSSC First-year representative, being on the SSSC intramural soccer team, going to Power to Change events, and getting to know the students and professors in my classes. The people here are fun and friendly, and really want you to succeed. That’s what makes it great! As a first-year rep, I make announcements in my classes about upcoming events and workshops at the SSSC. This was a great way for me to introduce myself to my professors and classmates, as well as develop communication skills. I like that I get to share all the great things the Centre does! Being on a team with other first-year reps has been the most fun part of being a rep. A lot of us have similar classes and work together in class and while studying; other times, we just hang out! The mentors at the SSSC are also really supportive and fun. Getting involved with the SSSC was one of the best decisions I made when starting university. I love it! My name is Christina A. and I am from Waterdown, Ontario. I am in the honours biochemistry program. My absolute favourite thing about Carleton is that there are many interesting community events that are always going on here on campus. One of my favourite events was when I met Chris Hadfield the astronaut after he did an inspirational presentation. I am really enjoying being a first year rep because I have made connections with so many great people who are also studying the sciences that I maybe would have never met if I wasn't a first year rep! I am a part of the Biology (major) and Neuroscience and Mental Health (minor) programs here at Carleton. I was born in India but grew up in Muscat, Oman. I just moved to Canada this year and really like the weather. Just kidding. I love the poutine, the people, and the gorgeous buildings downtown. I love that Carleton has so many different opportunities to offer students in the way of clubs and co-curricular activities. The SSSC has made me feel really comfortable and welcome during my stay in Canada thus far, and feels like a home inside of my greater home (Carleton). I love the energy that everyone here has, and the passion they exhibit for helping others understand science. Hey! My name is Ben and I’m a first-year student in Chemistry and Physics. I’m from Waterloo Ontario, but for the past five months I’ve been proud to call Carleton University my home. I live on residence in Stormont House, and one of my favourite parts about the past five months must be The Caf. Having access to unlimited, delicious food that’s never more than a few minutes’ walk away; it’s pretty great. At the SSSC, I am part of the first-year representative team. My job is to make announcements to my classmates about upcoming events and workshops that the SSSC is hosting. Meeting and making connections with other science students is my favourite part of being a first-year rep. Though being significantly less frightened of public speaking than I was in September is a nice perk as well. Hi! I’m Ronni, a first year in Computer Science here at Carleton. I’m originally from Toronto but I came to Carleton for the community and the history and opportunity that comes with being in the capital of Canada. Being a First Year Rep has allowed me to make some of my closest friends and ensured that I’m always up to date on what’s happening in Science at Carleton. It’s even allowed me to meet people in classes that I otherwise would have no one to get notes from or discuss assignments. If you want to get involved or get known at Carleton, being a First Year Rep for the SSSC is a great way to do so. Hey! I'm Carol and I am a first year representative with the SSSC. It's been a great way to get involved with the school community, and meet new people. I'm studying chemistry and physics, and I've lived in Ottawa my whole life. When I'm not doing copious amounts of math, I'm usually drawing and writing or watching cartoons and reading. Hello! My name is Michele L. and I am a first year student in Health Science with a concentration in Global Health. I’m from a small town in northern Vermont, about one hour from the Canadian border. I really love living in a city like Ottawa, especially since the Carleton campus feels like its own small town, separate from downtown. 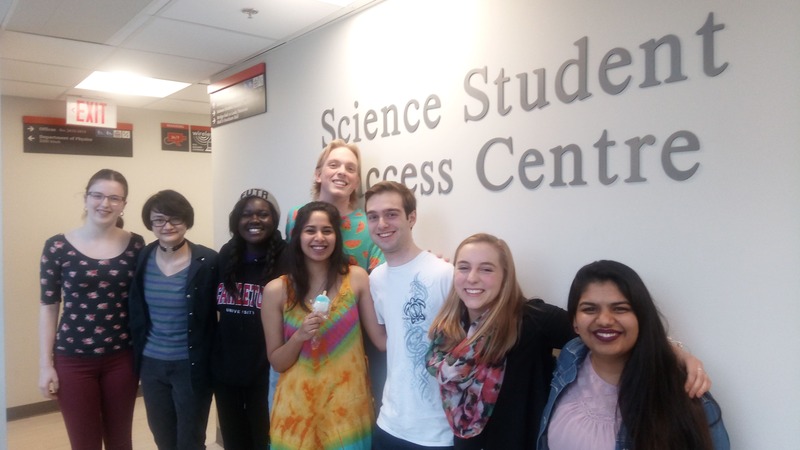 When I first came to Carleton, I decided to join the SSSC as a way to get involved with the science community. Fortunately, by becoming a first year representative, I have made a bunch of friends, both in my year and in upper years, who all understand my drive to work hard to succeed in the Faculty of Science. Already, I have had the opportunity to sign on to a research project that will not only allow me to explore my interests, but also travel abroad to complete field work. I truly appreciate the opportunities the SSSC has given me, especially the contacts, friends, and resources it has provided. Our FYRs left to right: Jordyn, Carol, Amanda, Vivienne, Ben, Michele! I’m sure you’ve all heard the story behind how Penicillin was discovered. If you haven’t, here is some backstory. In 1928, a time without antibiotics (yikes! ), an English gentleman by the name of Alexander Fleming was sorting through his petri dishes full of bacterial colonies. In one of his dishes he noticed a spot of mold growing. Around the mold there seemed to be a zone where no bacteria grew. He hypothesized that the mold had to be secreting some kind of metabolite that prevented or restricted bacterial growth. The metabolite was later isolated, purified, commercialized, and given the name “penicillin” – the first antibiotic that changed the world for the better. Reading this whole endeavour, you probably thought to yourself, “Hey, that’s pretty cool. 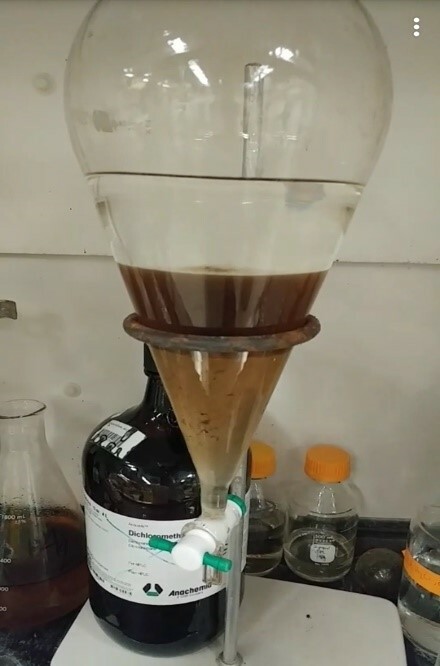 How the heck did they manage to isolate a SINGLE compound from a mixture of thousands and then go on to purify it?! It’s crazy!” Well, that’s what I thought, too. But working in a toxicology lab last summer, my job was to do exactly that. My name is Robert Pap and I am in my third year of a Health Science program here at Carleton. In the summer of 2017, I worked in Dr. Miller’s lab in the Department of Chemistry. Getting involved in research was probably one of the turning points in my academic career. It showed me how real-life problems could be solved with what I was learning in class. The research I was involved with was based around spruce trees. 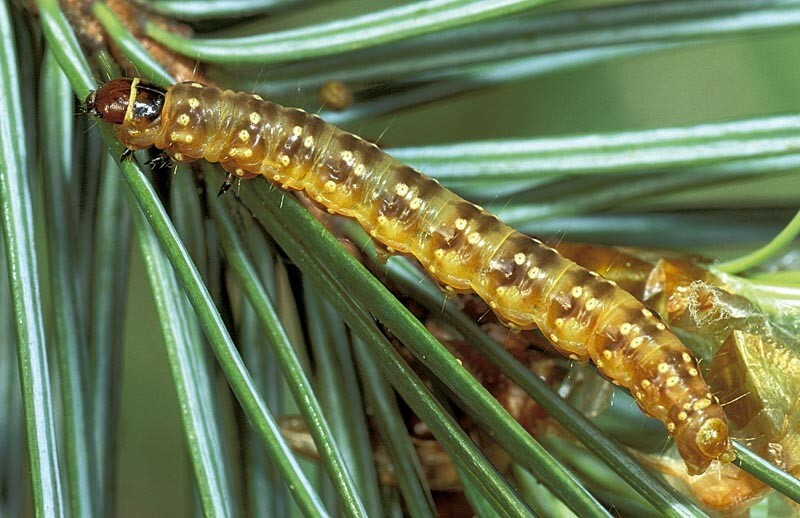 The spruce budworm is an insect known for causing mass defoliation of spruce trees. This is a massive problem considering the foresting industry is one of Canada’s largest sources of income. Now how can we solve this problem while relating to Alexander Fleming? It’s quite an elegant solution. A class of fungi-endophytes grow on plants in symbiotic relationships. This means both the plant and fungi benefit from their intertwined destinies. At this point you’re probably wondering, “How does a plant benefit from fungus growing on it? How does anything benefit from that!? Yuck.” Essentially, the fungus secretes a secondary metabolite when under stress that protects the plant from insects. Herein lies our solution. 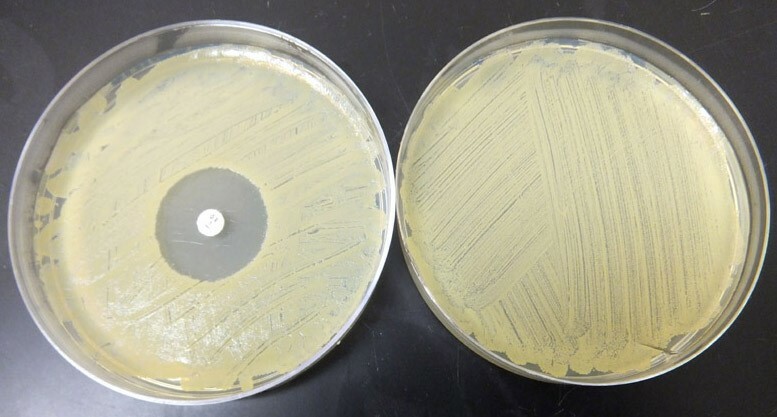 My work involved growing endophytic fungi, extracting their secondary metabolites and purifying them. The purified metabolites were assayed to assess their insecticidal activity. 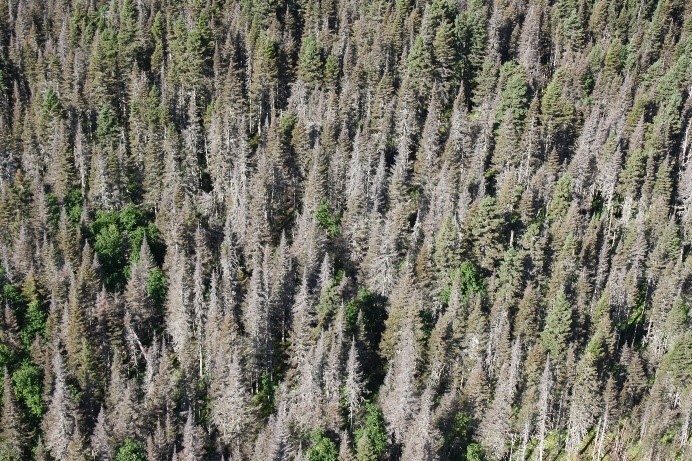 Fungi that produced potent insecticides were inoculated into tree saplings to protect them from the spruce budworm. The techniques I used employed basic organic chemistry principles I learned in class. 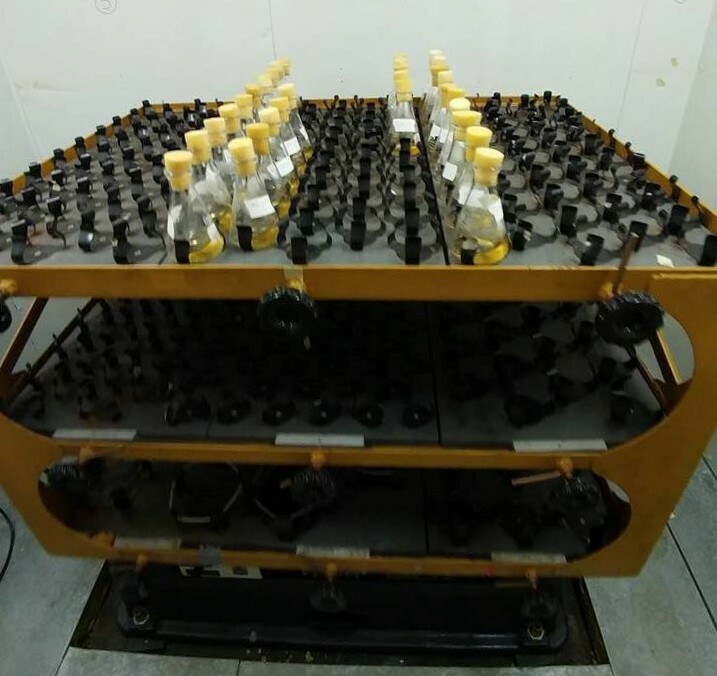 These were liquid-liquid extraction, column chromatography, and High Performance Liquid Chromatography (HPLC). The unifying property these techniques are based around is polarity – a concept so simple, but can by applied to a variety of problems in the world. The process used to isolate these metabolites is the same involved with drug development. My research experience had a large learning curve and opened my eyes to how class knowledge can be applied to the real world. I encourage everyone to get involved with some form of research. It may lead you down a path to your future career! I was born and raised in a southern Ontario town named Chatham. A town known for its rich history as a major battleground during the War of 1812, as the most expensive lot on the Monopoly Canadian edition board, and for our very own Sam Panopoulos – the creator of Hawaiian pizza. Chatham is quaint, but it lacks opportunity. That’s why I decided to move to Canada’s capital – to study health science and neuroscience at Carleton University. Growing up in Southern Ontario meant being pretty oblivious to issues happening on the other end of the province. I first heard about residential schools and the atrocities inflicted on Indigenous people in my tenth grade English class. My teacher took it upon herself to go against the curriculum and teach about the history of Indigenous people and the residential school system. My mouth dropped at the stories she told. I couldn’t believe it. This? Happened in Canada? It baffled me then, and still baffles me now that in one of the richest and subjectively ‘best’ countries in the world, these problems still exist. The detrimental effects of this oppression have created a viscous cycle of poverty, ill health and substance abuse for our indigenous population. I left that class with so many questions. Where do you begin to rebuild a culture after it has been stripped down to nothing? Motivated by what my tenth grade teacher had taught me about injustice, I travelled to Nicaragua on a volunteer trip in an attempt to make a difference in the world. 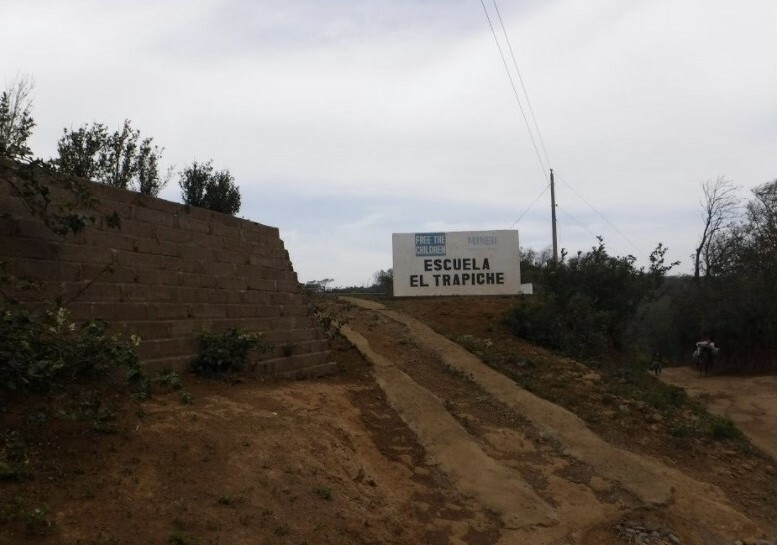 During the two weeks I was there, my group members and I helped build a playground in a rural village named El Trapiché. Previous groups who had been to the village had built a clean water filtration system, and a school. At the end of those two weeks we had the opportunity to talk to one of the community members of El Trapiché. “So now that you have access to clean water and you have a school the next thing you must want is a health care clinic right,” a group member asked. The community member laughed and explained how the village would need a paved road before a health care clinic, since the terrain was so poor that even if there were a clinic many would not have access to it. She continued that before a road, they needed job opportunities to pay for the road. It was a sad realization that there was still so much work to be done and that they still wouldn’t reach full sustainability for a number of years. The difference between El Trapiché and NW Ontario is that most of El Trapiché’s problems could be solved by an abundance of money. El Trapiché has what NW Ontario doesn’t: a plan. In NW Ontario building brand new infrastructure does not fix the underlying issues. Unfortunately, it isn’t like the 1989 film Field of Dreams. If we build a brand new school, students still may not come. Millions of dollars can be fed into a community and no change can occur. When I heard about the Indigenous Youth Futures project, I was immediately hooked. It had answered my question from back in the tenth grade: Where do we begin to rebuild a culture? This research is unique in the sense that it not only takes the concerns and opinions of community members into consideration, but also as the driving force for change. For example, this summer working on a pilot project, facilitating a suicide prevention/life promotion group with Indigenous youth from Northwestern Ontario. As experts, the youth were at the forefront, researching things such as safe places in their communities and the power of influence. The problems NW Ontario is facing are unique in the sense that the solution will have to come from a process that is both top-down and bottom-up. I firmly believe that the Indigenous Youth Futures project employs both, and will actively kick-start the rehabilitation of the North. My name is Catherine and I was born and raised here in the capital. I am a second-year Health Science student with a concentration in Biomedical Science. In my first year, I realized that my passion and appreciation towards the physiological and biochemical aspects of medicine had immensely grown. I was eager to get involved in research to further continue my newly found passion. I decided to register for the lab tour week run by the SSSC and had the chance to visit various labs on campus. I met Dr. Willmore at one of my first lab tours and was really interested in the many clinical applications, such as cancer, cardiovascular and cerebrovascular disease, that his work involved. As an aspiring physician, I wanted to explore current health issues which are prevalent in society today. I decided to contact Dr. Willmore to discuss becoming a member of the Willmore lab. With a lot of hard work in first year I was eligible to apply for the Dean’s Summer Research Internship. Currently, I am continuing my work through the I-CUREUS Internship in Dr. Willmore’s lab. In the lab, I work alongside a doctoral student, who is not only a great friend but a great mentor, examining the role of stressors on four proteins; porcupine, wntless, wnt5a and wnt3a, and their function in human colorectal carcinoma cells. I have learned so many new techniques and they even help me currently in my second-year labs. Some of the skills that I have learned while in Dr. Willmore’s lab are cell culture, transfection, Western blotting (this is really cool! ), and protein determination. I can’t believe that I was able to learn all of this in my first year! One of the most common things that I do in the lab is transfection. This involves growing cells on a plate, injecting the plasmid of our protein into the cells and allowing the plasmid to incorporate itself into the cells. Currently I am working on trials of the wnt5a protein. A typical trial goes something like this: plate cells to grow, then transfect our wnt5a plasmid into the cells, treat the cells with various treatments, harvest the cells from the plates, use an assay to see how much protein we have, then do a Western to see if we have the correct protein that we are looking for. The best part is when we get to take a picture of the proteins that were transferred onto the membrane. I am still fascinated that it is possible to do experiments like this. I really encourage anyone who is interested in learning more about a topic to get involved in research! This is my favourite time of the year. 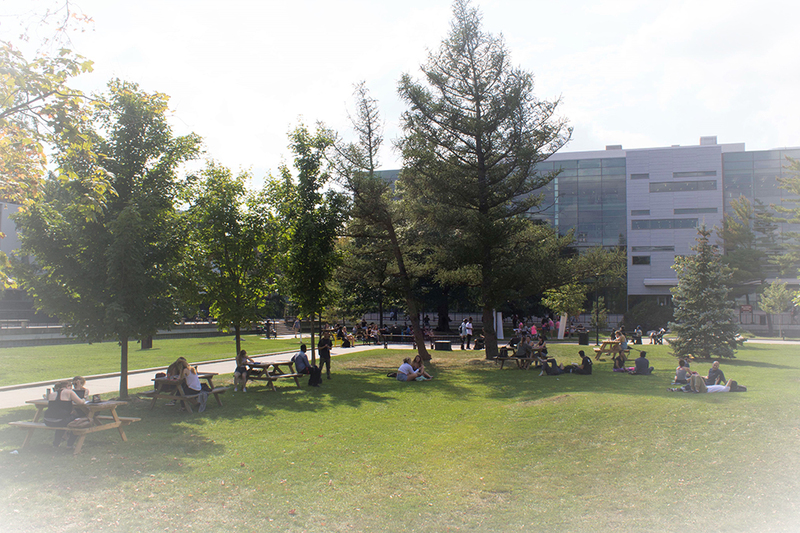 Classes started last Wednesday and campus is active and buzzing again. First-year students are excited to begin their lives at university, and interacting with them reminds me of the limitless potential we have here at Carleton. 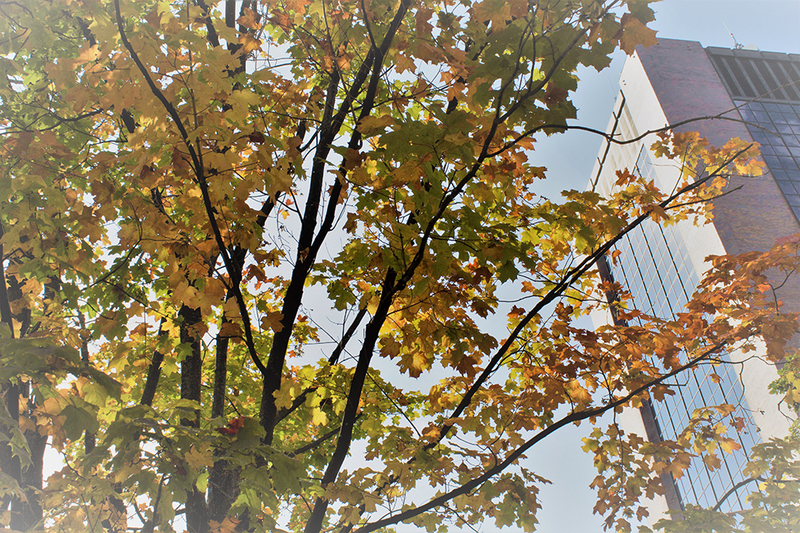 The leaves are just starting to show glimpses of red and yellow, and I can look out the window of my office and see the new Health Sciences building nearing completion. Carleton is transforming in front of my eyes and everyone here can feel the underlying pulse of change. It really is a spectacular time to be in the Faculty of Science. As the Science Student Success Officer at Carleton University, I am in the blessed position of interacting daily with some of the most amazing students on this campus. Our volunteers in the Science Student Success Centre are truly passionate, giving, inspirational individuals. They mentor fellow students one-on-one, run workshops, organize social events for the Faculty of Science, and help plan and execute large networking events to help undergraduate students network with professionals and alumni. They dedicate their time and energy to improving services and, in the process, they make a huge impact on the lives of other Faculty of Science students. It is truly amazing to watch. What we have in the Faculty of Science at Carleton is truly special. Many undergraduate students complete research projects, work in research labs, and get to participate in groundbreaking projects. Some travel across Canada and to countries around the world to work and volunteer. Many SSSC mentors have been involved in experiential learning and benefited from the hands-on learning opportunities Carleton provides to undergraduate students. 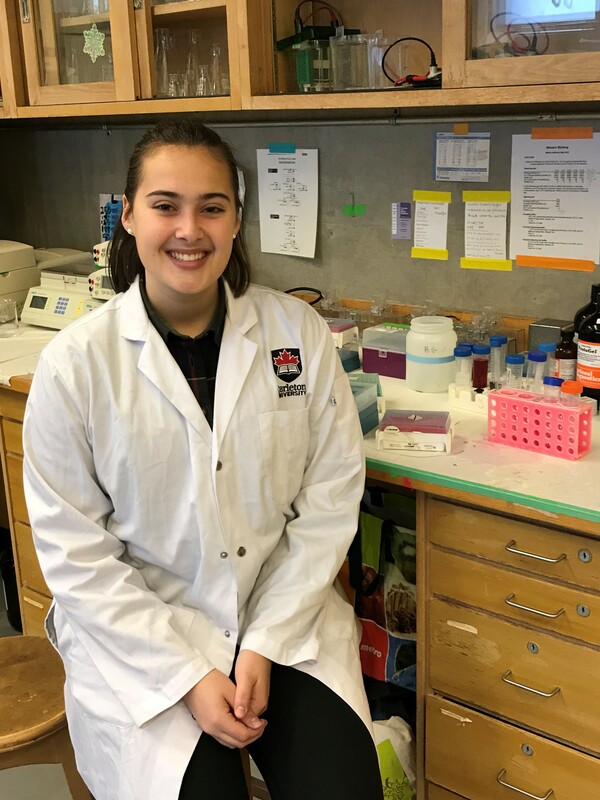 This blog is an opportunity for undergraduate students in the Faculty of Science to share their stories and give you a glimpse into the possibilities available to students who want to make the most of their Carleton experience. I hope you enjoy their stories as much as I do!